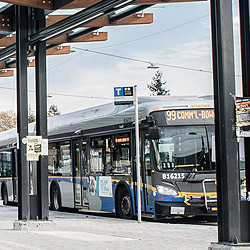 TransLink wants to hear from you about proposed changes to routes including UBC shuttles 68/70. 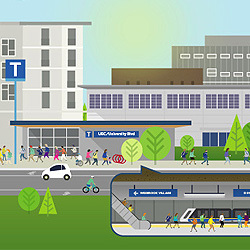 Learn more about the continuation of the Broadway subway to UBC at skytrain.ubc.ca. Learn how to get to, from, and around campus. 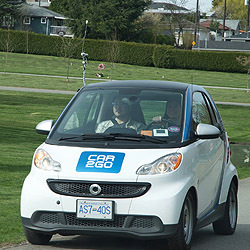 There are many flexible and sustainable options for travelling to, from and around UBC’s Vancouver campus. Getting to and from campus is easy with public transit, cycling, car-sharing and various parking options available. 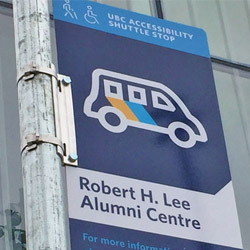 Getting around campus is facilitated with an Accessibility Shuttle for people with temporary or permanent conditions that impact their mobility. To use the shuttle, please schedule a pick-up. 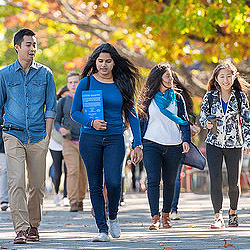 With over 140,000 trips to and from UBC each day, it is important that accessible and sustainable ways of getting to and around campus are available. 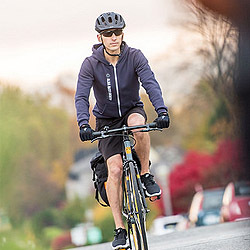 Today, more than half of UBC’s visitors arrive by bus and the university aims to provide increasingly sustainable commuting options for all who work, study, and play on campus. Learn more about the continuation of the Broadway subway to UBC.